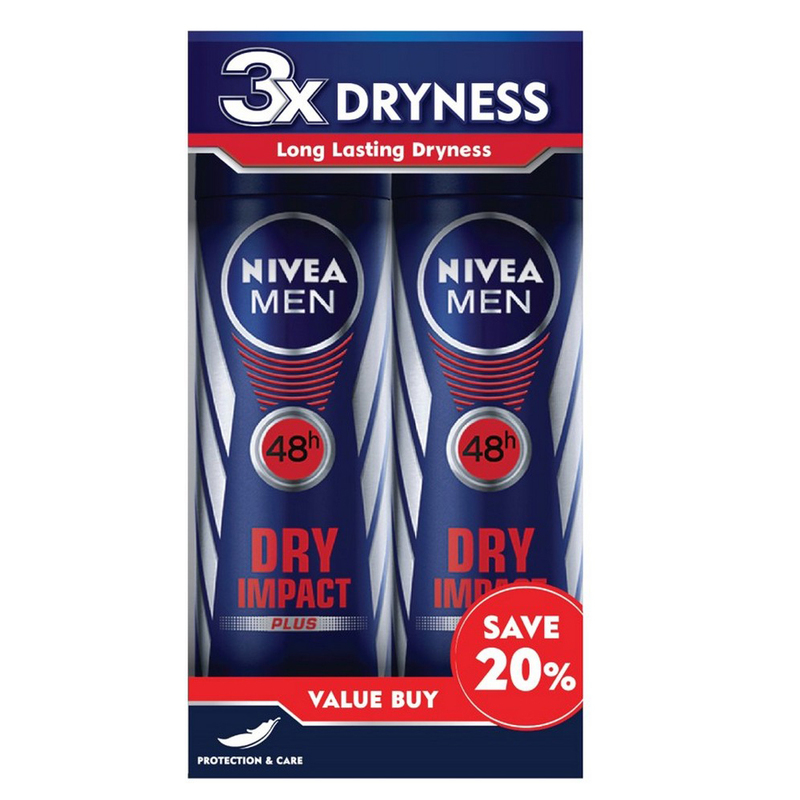 'Get "3X Dryness" to stay confident throughout the day with effective 48 hours anti-perspirant protection. 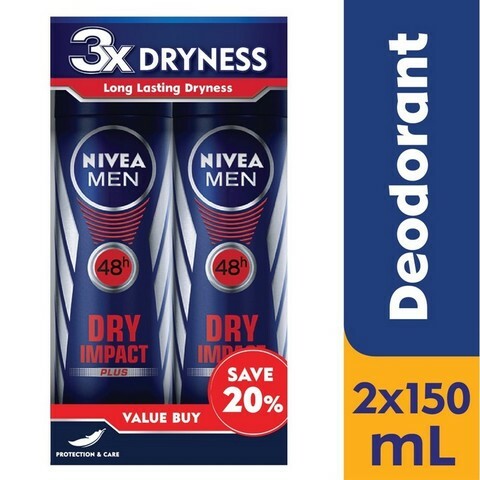 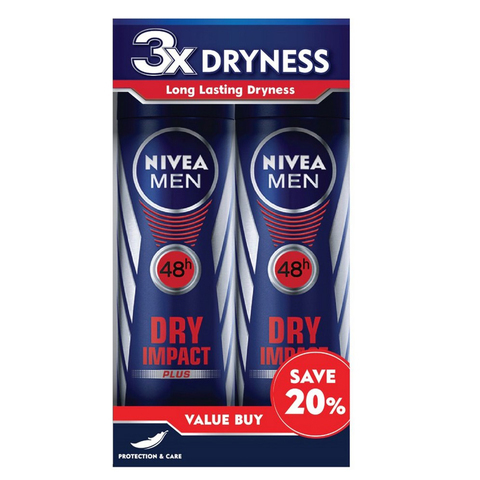 NIVEA MEN DEODORANT DRY IMPACT with minerals offers the real confidence of effective 48h regulation of perspiration and guarantees a dry skin feeling. The optimal combination of reliable antiperspirant protection and NIVEA’s mild care.